Welcome to your first snail mail!!! 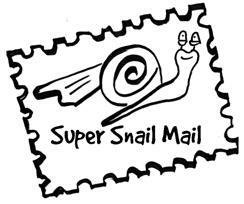 Take some time and work on this SWEET snail mail lesson. 5 completed lessons will earn you a FREE weekend back to camp in the fall! So get to work, grab your Bible and fill it out! If you ever need to call us for help, or need another lesson our office number is: 574-232-8523. You did it! You’ve officially completed your first snail mail lesson!!!! We will read through it and send you the next one in the mail in about a week. If you don’t get it, feel free to call us in the office! We always love to hear from you!! !